FOR the naysayers who reckon cricket has got boring, we present you the 2016 T20 World Cup, to be held in India from March 8 to April 3. The biggest hitting and fastest scoring batsmen in the world will go head to head with the most miserly seam and slow bowlers on the planet in a test of wills that is sure to produce fireworks on the Indian sub continent. The usual suspects in India, the host nation, Australia, England, New Zealand, Pakistan, South Africa, Sri Lanka, West Indies, Bangladesh and Zimbabwe will be there. But there will also be some added diversity, with minnows Scotland, Ireland, Hong Kong, The Netherlands, Afghanistan and Oman set to compete. So the stakes are high for the big guns, with the little men rolling out there with nothing to lose. You only have to go back to the 2014 tournament to recall upsets galore as fledgling nations the Netherlands, Hong Kong and Ireland recorded wins over far more seasoned opponents. Hong Kong beat Bangladesh and Ireland knocked over Zimbabwe, but it was the Netherlands’ victory over England that sent shockwaves through world cricket. The Dutch made a meagre 133/5 off their 20 overs, but fired England out for just 88 in 17.4 to claim a remarkable victory. Unknowns Barresi (48) and Myburgh put the sword to the world class English bowlers, like Bresnan and Broad, and then Bukhari and van Beek ripped through an English order that featured Hales, Lumb, Ali and Morgan, with three wickets each. it was Sri Lanka, though that finished the tournament as champions. They flogged the West Indies in the semi final to set up a date with India, after it accounted for South Africa. The Indians got 77 off 75 balls from star Kohli, with Sharma hitting 29 at the top, but their 4-130 never quite looked enough as Sri Lankan legend Sangakkara brought them home with 13 balls to spare with an unbeaten 52. The Australians remarkably won just one of their four group matches and came home with their tails between their legs after losing to Pakistan, the Windies and being embarrassed for just 86 against India. Things are set to be different this time around. The Australians are not far behind at $5, with South African next best at $7. 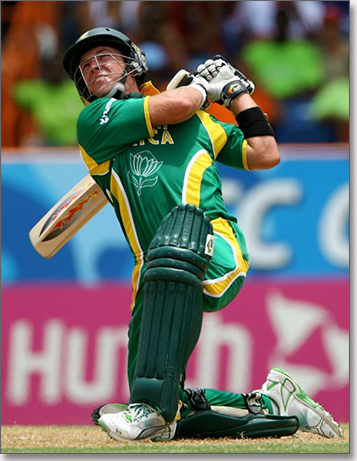 On the batting front, the South Africans’ master blaster AB de Villiers is the $10 favourite to top the run scoring charts with sportsbet.com.au, sharing favouritism with star Aussie opener David Warner. Indian pair Virat Kohli and Rohit Sharma are both $11, with Aussie captain Steve Smith at $12. West Indian six hitting machine Chris Gayle is $15, with another Indian in Shikhar Dhawan and the Kiwi ace Kane Richardson at the same quote. Here’s the look at the tournament odds, best bookmakers to bet with and players to watch as the ICC World T20 approaches. CrownBet.com.au: You only have to hear the name Matthew Tripp to know that you’re going to be looked after in your betting experience. His partnership with Crown Resorts has created even more solidarity and that means punters will benefit with plenty of markets and specials. Sportsbet.com.au: One of the market leaders when it comes to promotions, sportsbet.com.au is set to continue its recent form as offering more betting markets than anyone else on major events – and that includes the ICC World T20. WilliamHill.com.au: Backed by the British giants and headed up by punting industry figure Tom Waterhouse, the WH crew is always ready to fire off a special. Keep an eye out for what they offer up in the coming weeks. Bet365.com.au: If it’s good enough for Samuel L. Jackson, it’s good enough for us. If he tells you to lay a bet on the T20 World Cup with Bet365, you best do it. Bet365 are a great option for punters right around the world with very few places denied access to this website. Indian and Bangladesh punters are more than welcome. BetOnline.com: BetOnline is a great option for USA punters looking to bet on the World Cup. They accept punters from every country in the world. While they don’t have as many markets as your traditional cricket bookies like Hills and Bet365 they offer are the best option for customers who are restricted from wagering online. Australia’s nemesis, Kohli was unstoppable in the 2014 final, despite his country’s loss. Is coming off a monster one day series against Australia in Australia and will relish the chance to dominate attacks in his home country. How good is this kid going to be. Was the only batsman to stand up for the Kiwis in Australia and seems to score tons for fun, no matter the format. The world’s number one T20 batsman and Australia’s captain. He let’s his bat do the talking for him and usually is speaks in fours and sixes. Has absolutely copped it for his poor form in the Test arena, but the Poms are slow learners and haven’t realised that this is the place for Hales. Just unleash him on the T20 bowlers and watch him go big. Speaking of going big, there aren’t many blokes who go bigger than this guy. With #dontblushbaby a distant memory of his KFC T20 Big Bash experience, Gayle, bad back and all, will still be the most feared willow wielder in this tournament. There’s not much to say for T20 bowlers. It’s a thankless task getting whacked all over the park. But Badree holds the keys for the West Indies. Even though they had a woeful test tour of Australia, the Windies gain back a number of guns, but none have more impact than the brilliant spinner. Still on the spin train and Ashwin has a way of choking out batsmen in the shortest form of the game. While other spinners are collecting their balls from over the fence, Ashwin uses his height to generate bounce and his variation often frustrates batsmen out. 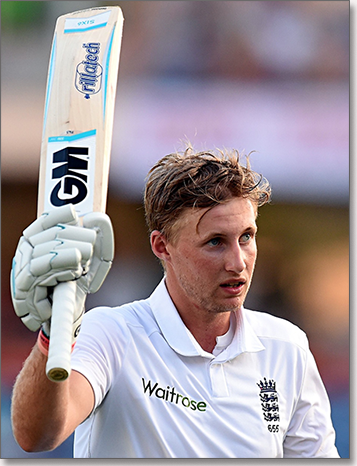 Apologies to Glenn Maxwell, but this guy is the best all rounder in the game – even at 80 years old. The Pakistanis are no good, but they will still produce highlights through the big hitting leg spinning captain. Is on a bit of a victory lap and will be a fan favourite for viewers watching at home. Hasn’t played a competitive match since being injured in November, Malinga has a battle with knee injury demons to get fit. But if he does turn out to captain his nation, expect him to send down plenty of unplayable fireballs that crash into opponents’ stumps. One of only six men in history to take 400 wickets and make 8000 runs on the international stage, Al-Hassan is also one of only 10 men to take 50 wickets in T20 internationals. His talents with both bat and ball make him one of the best all rounders in the world. A few of his Bangladesh team mates could take a leaf out of his book. Has Maxwell matured and is he really ready to deliver. Known as a massive hitter who at times gets himself out with the ridiculous, Maxwell played a brilliant hand against the Indians in Australia to help chase a mammoth total. Can he convert that form in the T20s. Perhaps the biggest game changer in the short form. This is our most important tip. Punting should be fun. It shouldn’t be all consuming. Make sure the bills have been paid and there’s food on the table before you decide to splash your hard earned on the ICC World T20. Get your futures bets on now to avoid missing out. India and Australia are still great odds, but, once the tournament starts and they start picking apart a few teams, they will shorten dramatically. Yes, accidents happen and sometimes the minnows can pull off a miracle, but the group stages can be a little like early tennis rounds. Back the seeded teams against the minnows and make your multis return better than bank interest. How did we survive before cash out was implemented by Sportsbet.com.au and then adopted by several other bookies. If you’ve laid your hard earned on a team and all of a sudden they are 2/0 in the first over, that cash out might be looking tasty. Similarly, if you back they outsider and they are 0/50 off three overs, might be worth looking at cashing in on the big start, rather than risk the chance of having your heart broken. This could work well with a couple of the minnows too. If you fancy Scotland at $1501 and the manage to snare a win early on, watch the dollars flow in. While it’s technically illegal to bet on live events online in Australia, several companies are using a loophole to allow people to punt using their mobile devices. This can be a strong tool in ensuring you make your money. If you’re not sure which side you like, give it a couple of overs to see if your team fires out of the blocks. Waiting a couple of overs might reduce your odds, but it will greatly increase your chances of winning. It’s easier to jag a top run scorer tip in T20 cricket, because the order rarely gets past number five or six. Look hard at the top three before you go anywhere else. That’s where the top scorer usually comes from. Similarly, with the bowlers, two wickets can often get you at the least a split of the winnings, with three almost guaranteeing it. Go for guys who bowl at the death as teams chase quick runs. Remember, this is in India – Spinners are the order of the tournament. Just stick with tweak and you are certain to do well.